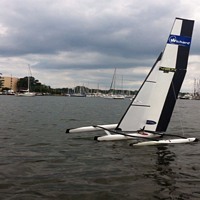 Our RT65 Ragnarok Race Trimaran is the first production 65M class trimaran worldwide. 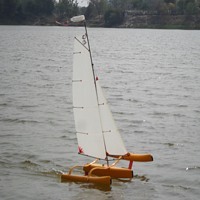 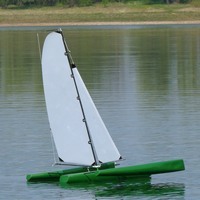 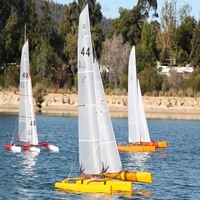 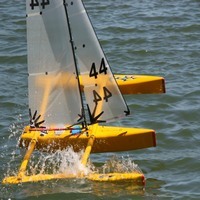 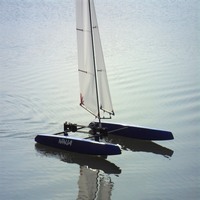 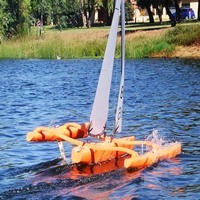 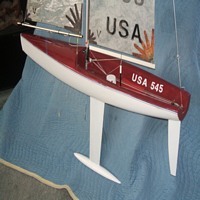 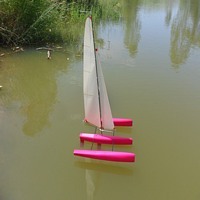 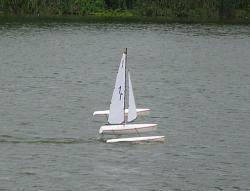 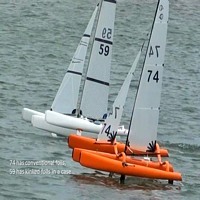 It sails great and is easy to transport due to its small 65 by 65 cm size. 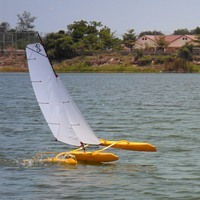 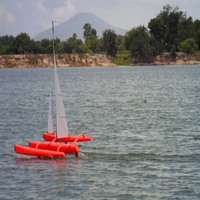 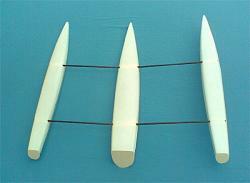 The RT65 sails stable and is a very good choice for beginners, it can be sailed with a standard rig in light and medium winds, for strong winds a smaller rig should be used. 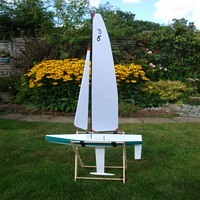 Our RT65 is a complete platform kit with plans and instructions. 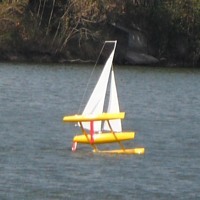 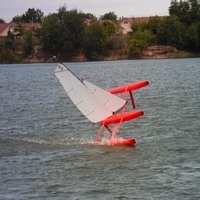 Rig and R/C are not included.